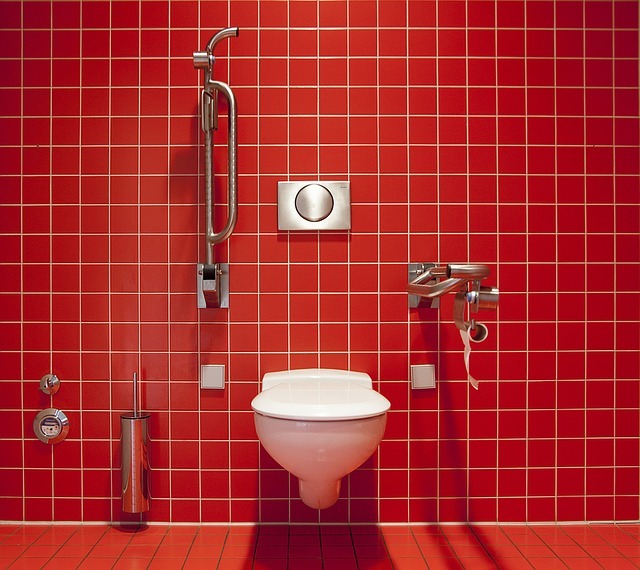 A leaking toilet is unpleasant and may even be nauseatingly disgusting. Repairing a leaking toilet might be an unattractive task, but it’s not necessarily particularly complicated, and you may be able to fix your toilet without too much effort. Where is the toilet leaking from? Clear up any water from the floor with your least-favourite towel. Then carefully examine the toilet to find out what part of it is leaking. Once you have discovered the source of the leak, turn off the water supply to the cistern. There may be a shut-off valve below the tank. If you cannot find this valve, turn off your water supply at the stopcock. 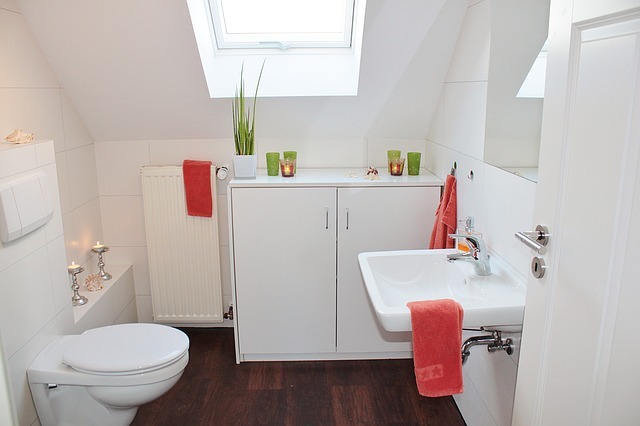 Then drain the tank by flushing the toilet and soaking up any remaining water with a sponge or towel. A leaking toilet base likely suggests that the wax seal that connects the toilet to the floor has become loose or defective. If your toilet is connected to the floor with closet bolts, tighten these bolts to re-align and secure the toilet. Carefully remove the bolt caps with a flat-headed screwdriver or a bladed instrument. Gently tighten the bolts – slightly tighten one bolt, then tighten the other bolts the same amount. If you tighten the bolts one-at-a-time, the pressure you put on the toilet could cause it to break or the leak to worsen. If this doesn’t work, you will have to unscrew and remove the toilet and replace the wax seal. A leaking cistern is likely due to a degraded and corroded gasket. Buy a replacement gasket and new spud valves in a DIY or home improvement store and fit these replacements in your toilet. With an adjustable wrench, hold the nut underneath the tank bolt, and unscrew this bolt with a screwdriver. Repeat this process for the second bolt. Remove the spud valve. This valve connects the cistern to the bowl. Remove and replace the spud washer. Evenly caulk the washer to prevent future toilet leaks. Remove the bolt gasket and clean the hole it fits into. Wait for the hole to dry. Put the toilet back together, and don’t use it for 24 hours so the caulk can dry out. Be careful when tightening the bolts – tighten one slightly, then tighten the others the same amount. Remember: don’t tighten them one-at-a-time, or you may break the toilet. Sound like a lot of effort? Does fixing a leaking toilet sound like something you’d rather avoid? If you have plumbing and drainage cover with 247 Home Rescue, you just have to give us a call on our claims hotline to get your leaking toilet repaired by a skilled professional! If you haven’t yet set up a service plan with us, then don’t worry – give us a call on 0345 3192 247 or drop us an email to find out about our home emergency packages which include plumbing and drainage cover.